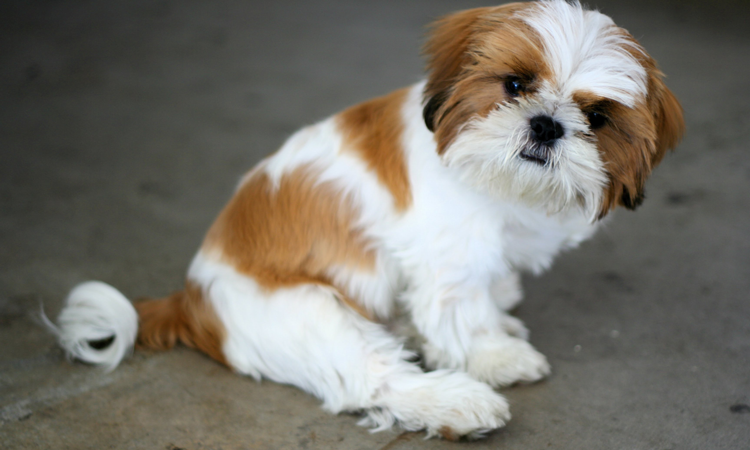 Most dog owners find it difficult when it comes to Shih Tzus medicine. Lucky for those who own a Shih Tzu that can take the pill or takes the pill wrapped in his favorite food or other treat, especially Shih Tzus that have some form of basic food training. But this task can be very difficult if your dog refuses to take one and will just separate the medicine from the treat. Thankfully, if your dog is trained, and your shih tzu has an okay temperament, this wouldn't be too much of an issue. Acquiring an ailment is easy but treating an ailment can be hard much more letting your dog take the medicine. One of the most widely used methods in giving medicine is to hide it in food, such as meat and bread. Commercial hollow dog trees are also available in many pet supply stores. However, as what I have mentioned earlier, not all dogs can be tricked with this trick. Some will just separate the medicine and eat only the food. Do not worry because there is still remedy to your problem. 1. When giving a pill to your dog, hold him between your legs, your knees should be behind his shoulders. But this is not the same with the liquid medicine. 2. Hold the upper jaw keeping the head level instead of tilting it upwards. The tip or squirt the medicine into the side of the mouth between the teeth. 3. Then close your Shih Tzu's mouth and rub the throat until it swallows. Always remember to never squirt the medicine into the back of the throat because it might go down the windpipe. In applying eye medicine, it is important to remove first the eye discharge from the eye and surrounding skin. Cotton pad soaked in warm water or eye wash solution is ideal tool for this. After the eye has been cleaned, hold your dog gently with one hand and medicine on the other hand. Squeeze the medicine into the eye from above but make sure that the container does not touch the eye. When you're done applying the medicine, hold the eye closed for a few seconds. There are also some circumstances when medication through injection is necessary. After preparing the medicine and the syringe, hold your dog and grasp the fold of the skin on the neck between the shoulder blades. Then insert the needle through the skin into the tissue above the underlying muscle. Remove the needle after the contents of the syringe has been expelled. But before doing this injection at home, consult first your veterinarian for more tips and advice. Difficulties in administering medicines are just temporary. Through time, your dog will get used to this so you will not be having hard time every time there is a need of administering medicine.